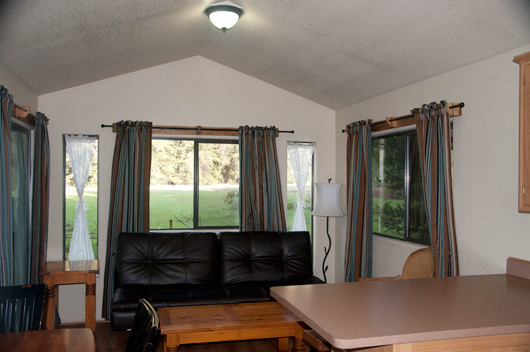 Fernwood Campground & Resort is happy to share our forest and meadow view cabins with you. 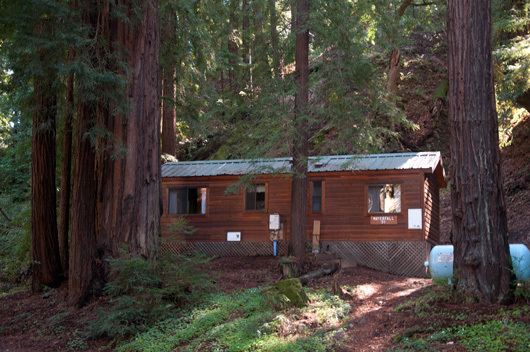 These cabins are located near the Big Sur River bordering *Pfeiffer Big Sur State Park. 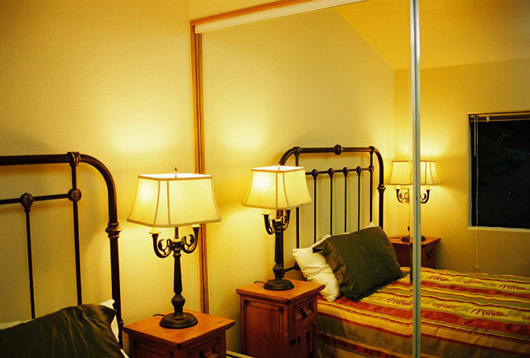 This gives you direct access to Pfeiffer Big Sur State Park and all the conveniences of Fernwood Resort. 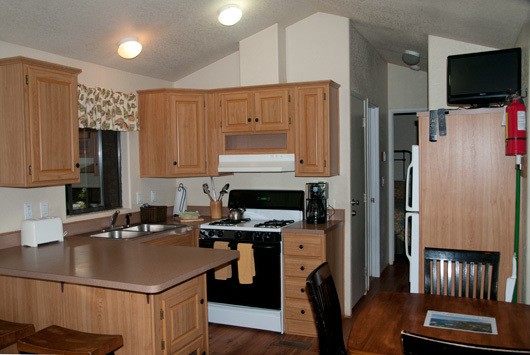 Our cabins are set-up with a fully equipped kitchen, refrigerator, dining room table, living room - sitting area, a bedroom, two bunk beds, a bathtub/shower - all the comforts of home and laundry facilities steps away. 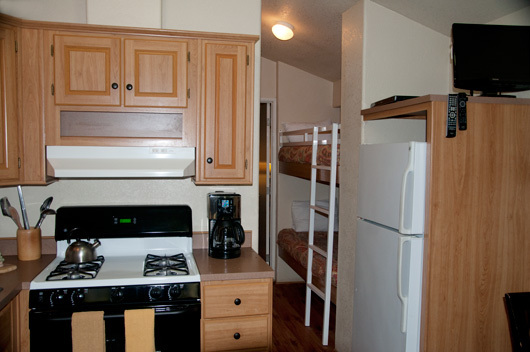 Rates for Cabins range from $270.00 - $330.00 per night depending on availability and occupants. Our rooms and cabins are all Non-Smoking. We ask that pets be left at home. * Pfeiffer Big Sur State Park has 1006 acres of redwoods, conifers, oaks, sycamores, cottonwoods, maples, alders, and willow trees with plenty of open meadows. Kitchen view into the hall with two bunk beds. Television set for viewing DVD's. 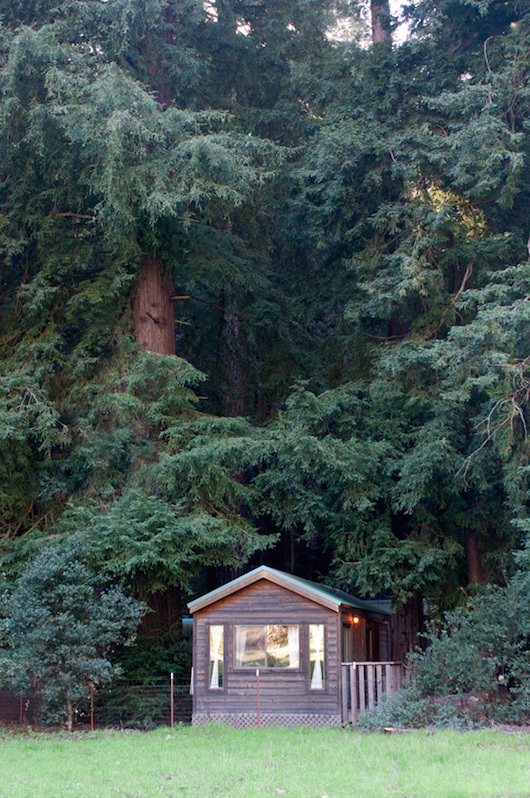 Meadow view cabin - looking into Pfeiffer Big Sur State Park. Leather couch folds open to become a bed. Main bedroom. Close quarters but comfortable. "Waterfall" cabin, named as such because a small waterfall flows behind the cabin when it rains. Fernwood Resort was established in 1932 and has been the friendliest tavern in Big Sur ever since. 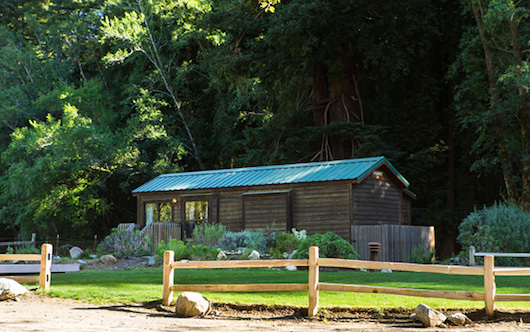 We are located in the heart of the Big Sur valley alongside the Big Sur river with easy access to hiking, sight seeing, beachs, horseback riding... name your magic! Online reservations now available. Call Fernwood directly for group reservations.